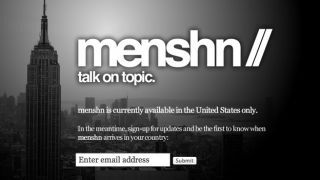 Backbench Conservative MP Louise Mensch has decided to take on Twitter with a brand new social network called Menshn.com. The site, which is a US-only service at launch, will allow users to debate a particular topic, rather than dive into the sea of ongoing discussions on Twitter. She said: "This is an idea that I've had since Christmas. I've been a passionate user of social media since the days of AOL chatrooms, and that was the inspiration really." At the moment the service is focused only on the forthcoming US election, but the MP for Corby plans on bringing the service to the UK in time for the Olympics. The idea, which Mensch is currently seeking investment to help fund, was founded with former Labour advisor Luke Bozier. He says, the site will provide a great alternative for social networkers who're frustrated with the scattergun approach of Twitter timelines. He says: "We were both frustrated at the way Twitter doesn't focus on topics. We both love Twitter, but if you want to focus on the election there's no obvious place to do that online. "Twitter is just too random. We wanted to encourage people to have conversations rather than broadcast their thoughts." Mensch has already taken heavy criticism for spending too much time on Twitter rather than focusing on her handsomely paid job, so it'll be interesting to see how this venture goes down.